Those articles and videos give you a nice overview about my impressions of the device over time which all end up in this in-depth review. You can find the video review here. First I want you to know that I have the matt orange version but apart from the color it actually doesn’t differentiate from the other versions since all Lumia 640 XL devices are matt. If we talk about the smaller sibling, the Lumia 640, then it’s getting slightly more complicated – but that’s not what we want to do right now. Anyway, the Lumia 640 XL feels very nice in the hand and the solid plastic chassis gives the device a more premium look and feel than you would expect it for a smartphone of this price range. I already want to apologize for all the references to the price (about 200 CHF) but at the end of the day this is how Microsoft can really push the sales of their Lumia range. Due to the matt material the back can feel slightly rough sometimes but most of the time you will be more than pleased with the feeling of it. 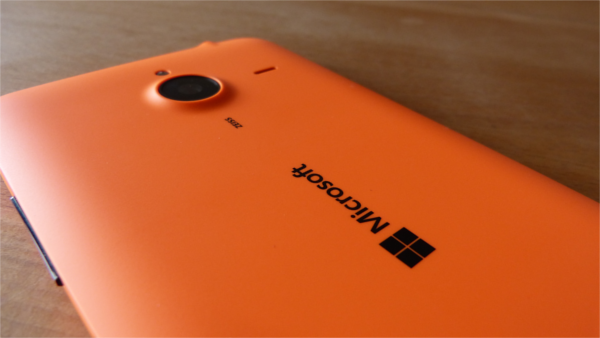 Also because the Lumia 640 XL’s corners are nicely rounded which makes it more comfortable to use and hold. Still, sometimes it can be a bit hard – especially if you want to operate with one hand – due to the device’s hugeness. Nevertheless the Lumia 640 XL is very sturdy and you can definitely notice a difference regarding the build quality compared to the Lumia 535 (and even there I was highly impressed by the device’s quality). Still the phablet can’t match up to the superb and extreme sturdiness of the Lumia 830 with it’s nice metal frame. But you wouldn’t really expect that in this price range. Despite the extremely nice build quality Microsoft still managed it to give you the ability to easily remove the back cover. And when I say easily I really mean easily. That’s really important since doing the same on my daily driver Lumia 830 always hurts me, which made me decide to remove the back as few as possible. Kind of the same story with the Lumia 535 but this time around you don’t have to worry about blessing yourself but breaking the phone instead. On the Lumia 640 XL the process is very smooth and without any problems: you just lift the case at the bottom using your fingernail while pressing down softly at the other side of the cover. I have to say: Perfect! Great job Microsoft! Therefor I was slightly disappointed by the power button as well as the volume rocker: First I thought they were very strange to press and sometimes I still have this feeling but actually you get used to it quite quickly – and you don’t even have to use the power button very often. But why didn’t I like the buttons at first sight? They are both thinner than the corresponding ones on my Lumia 830 and because of the bigger size of the device the buttons are placed higher on the 640 XL. That’s why I didn’t press them at the ideal area and also not with the “best” part of the thumb and so I obviously had to press harder. Now those problems are gone but the buttons seem a bit wobbly but definitely not too bad. Now to the design which I personally really like. Still this is always a very subjective topic. What I really like is the contrast between the black front as well as the buttons and the (in my version) orange back cover. Apart from that you don’t really find anything new and if you like the “Lumia” design you certainly will like the Lumia 640 XL design-wise. This is what the display “looks” like on paper but how does it in real life? Pretty good or actually surprisingly good I have to say. The Lumia 640 XL’s screen is just great – again keeping the targeted price in mind. But even if you didn’t know the price of the device you would be pleased by the display overall. Only the resolution might be something that is excluded from your overall satisfaction. This doesn’t mean the 1280 by 720p resolution is bad – it’s just the one thing that you’d notice first. While the sharpness of the display is good most of the time, there are some apps where the fonts are extremely blurry which makes it very hard to read stuff on your phone. Here I have to mention the price once again since for the amount of money you need to pay the resolution is acceptable. 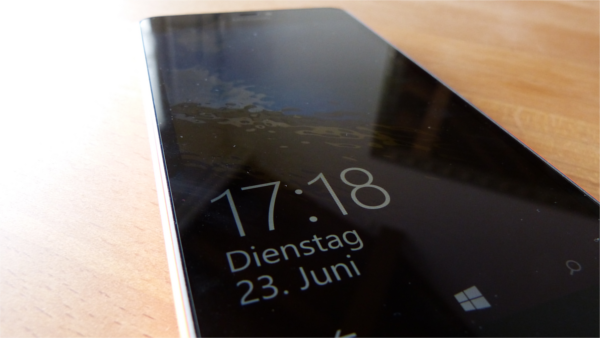 Still I would prefer a 1080p display which makes me hope for a XL-Version of the Lumia 840. Now let’s move on to another aspect of the display: the brightness. I’m extremely satisfied with the display’s brightness. Not only the maximum brightness itself did please me but also how the brightness is handled when turning on the auto brightness mode. I hardly ever came into a situation where I had to manually correct things because the display was too dark/ bright. It just always adapted perfectly to the actual lightning conditions. This is why I left the auto brightness on approximately 99 % of the time. On my Lumia 830 I’d guess this value is about 85-90% because there are situations where the screen just is too dark when in auto mode. My Lumia 535 is hardly ever in auto mode due to the very poor sensor. Once again: Great job, Microsoft! Colors look very nice and natural on the 640 XL’s screen and you have – as on other Lumia devices too – the ability to adjust them like you want with different profiles. With the acceptable deep blacks I’m also very satisfied whereas the whites are slightly on the warmer side. Overall I’m very surprised by the good color reproduction. Also here I’m totally satisfied. For sure the colors get slightly washed out starting from a certain angle but still you can look at the display from nearly any angle and you will see what’s on it. This part isn’t really interesting for those of you who already had such a huge device but for me this is the first time so I will write about that topic in a more detailed way. My personal daily driver is the Lumia 830 which has a noticeably smaller display at 5”. That’s 0.7” smaller than what I’ve been using with the Lumia 640 XL for the last three weeks. While it was my go-to phone I’ve still carried around the 830 as well. But most of the time (about 90 %) I used the Lumia 640 XL and I was surprised how quickly I got used to the massive size just because the bigger screen has so many advantages. In many cases I got to appreciate the extra size: be it web browsing, watching YouTube videos or playing some games. To me it’s just more attractive to use and I sometimes actually picked up the Lumia 640 XL in favor of my notebook. Of course not for heavy tasking but just for those scenarios, which I mentioned before. At the same time I got to appreciate the “small” display of the Lumia 830 again. Nevertheless the pros for the bigger size are more important to me than the ones for the smaller ones: So I once again hope for a Lumia 840 XL with Windows 10 Mobile. The double tap to wake up gesture works as expected and is always welcome on “my” phones. The nice thing about the device is that it comes with Update 2 and an on-screen navigation bar, which means you can also double tap to turn off the display. I wrote more detailed about this here. Glance Screen is another nice high-end feature, which found its way to the entry-midrange-class. If you once had Glance Screen on a phone you don’t want to miss it again – that’s what everyone says and I can confirm that as well. The ability to just quickly check the time and quick notifications is just very handy. Some devices can even display more content (e.g. the Lumia 830) , the Lumia 640 XL instead is limited. Steve Litchfield from allaboutwindowsphone.com wrote a very detailed article about the topic. I really advise you to read the very well-written text! The backfiring speaker on the Lumia 640 XL is right next to the camera. Besides not being on the front the placement isn’t too bad after all. I still prefer it over a speaker at the bottom of the device because I think there you blocked it more often. At the top the camera prevents you (or at least me) to place the hand very closely to the back. I’m ok with the quality: Of course you won’t get the best sound but still acceptable and with a very high maximum loudness. For what I use the speaker it’s definitely good enough. 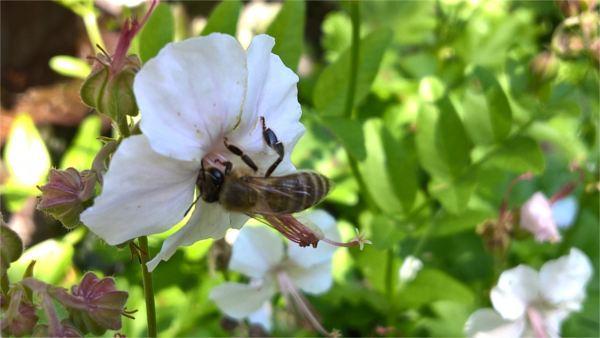 I’m used to great pictures taken with my Lumia 830. Still the 13 megapixel back camera of the Lumia 640 XL was able to impress me a lot. 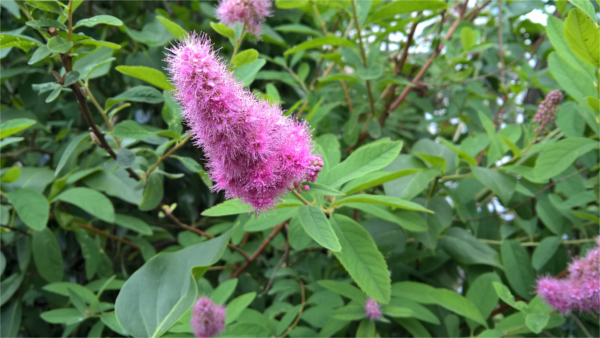 Not only do you get a fast and clean-looking camera app with Lumia Camera 5 being pre-installed, which actually is a novelty in this price range, but also the picture quality is extremely satisfying. Before you could only get it on higher-end Lumia devices like the Lumia 830, 930 or 1520. Since the Lumia 830 has the exact same hardware in terms of the processor and ram it’s obvious that it should run on the 640 XL as well. In my experience the app actually was even more responsive than on my Lumia 830 – but that could also be because the latter is just overloaded with apps and photos. 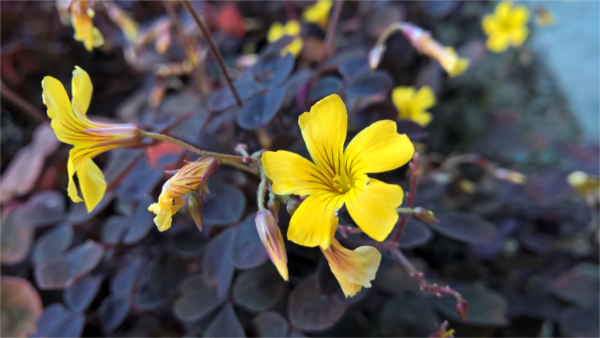 Lumia Camera 5 (and all the other Lumia photography apps) is certainly a nice bonus. If you prefer to use the Microsoft Camera you can do so with a little “trick”. I showed you this in a video before. As you can see, the pictures are very detailed and sharp and provide a very good picture quality. Colors are appealing while still looking very natural. I’m just really impressed by the camera overall and I have nothing I could complain about. Ok, maybe the focus is sometimes a bit slow but the good app and picture output compensate that more than enough. On the front we’ve got a 5 megapixel camera which produces some nice pictures as well and with the Lumia Camera 5 it’s now finally possible to jump to the front camera just with one tap. 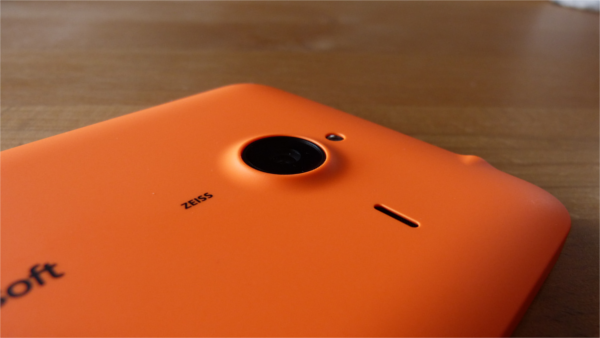 For those of you who want to edit their selfies right away there’s the nice app Lumia Selfie. The Lumia 640 XL’s camera allows you to record 1080p videos at 30 fps without any major problems. Something you could maybe say is that the focus is also a bit slow but that’s complaining on a very high level. Something that has to be mentioned is the missing camera button next to the power button. If you haven’t used one before you don’t miss it but as someone who really got to love the dedicated camera button on the Lumia 830 this is something I really missed. Anyway we can’t expect everything from such a budget phone (and I don’t mean the term “budget” in a dismissive way). 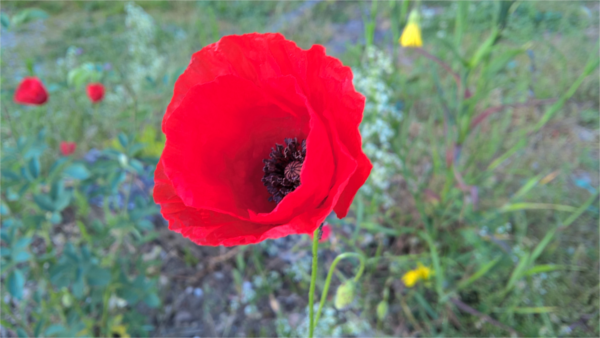 Conclusion: You will be very satisfied with both cameras on the Lumia 640 XL. The quality is much better than you would expect it in this price range. 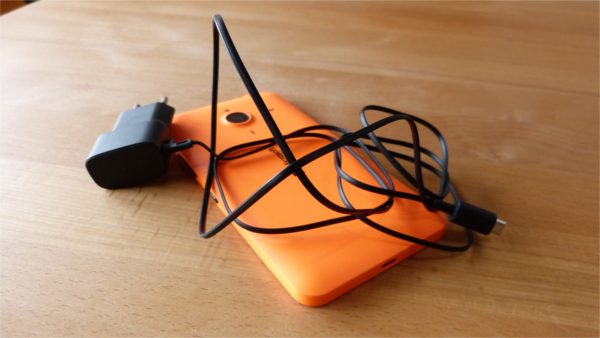 With the Lumia 640 XL you’re getting the latest version of Windows Phone, Update 2, which is great. Probably the most interesting part about the update (besides the support for Bluetooth peripherals like keyboards, which I sadly couldn’t test out) is the new settings app. I’ve already shown you the new features of Update 2 here. 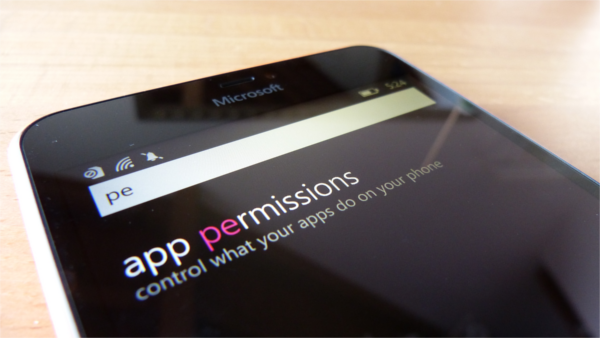 Apart from that you’re also getting great apps like the Lumia suite of apps and Here apps. Like the Lumia 830 the 640 XL sports a Snapdragon 400 quad-core processor as well as the pretty much standard 1 Gb of ram. Of course the Snapdragon 400 isn’t the latest and greatest processor out there but provides a nice and fluid operation of the system and is also good for some intensive games from the Windows Phone Store, which is limited in terms of choice. I’ve tested out a range of more “light” games like Temple Run 2 and Hill Climb Racing here and also the more intensive Asphalt 8 from Gameloft. Even the latter runs very fluid on the midrange Lumia 640 XL – although you will have to play with whatever settings you’re given since the Windows Phone version doesn’t let you change the graphics quality manually. Daily usage is also very fluid while multitasking is slightly limited due to the 1 Gb of ram, which means you might see some resuming screens now and then. Other than that the operation runs very seamlessly. Now if you consider all those aspects and then connect them with the price, which I actually never mentioned before, of slightly more than 200 CHF the Lumia 640 XL is a very nice package and certainly more than just huge (in terms of size). Actually the lowest price I saw it here is 190 CHF. If your searching for a very nice budget-friendly smartphone equipped with midrange to high-end features then the Lumia 640 XL is the perfect phone for you. The camera is great, pictures are clear and sharp but when i upload them on ig and facebook they appear quite blurry. Help!